Tired of carting around that power cord? Have patience, the 24-hour laptop is almost here. A handful of new systems are promising more than 15 hours' battery life on a single charge, or 20 hours with an optional second battery installed. The days of plugging in on the road are almost over, at least for short business trips. 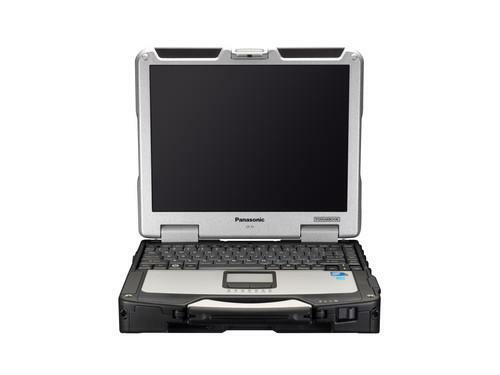 On Monday, for instance, Panasonic introduced its newest Toughbook 31, which can run for up to 18 hours depending on the use case, or 27 hours with an optional second battery installed. The laptop, which has a tough briefcase-type exterior so it can withstand a fall, will go on sale next month starting at US$3,699. The Toughbook beats out two other recently introduced laptops for battery life -- though it's also a lot heavier. Dell claims 15 hours for its XPS 13, or 22 hours with a second battery. And the two batteries in Lenovo's ThinkPad X250 can power it along for up to 20 hours. The latter two were both were announced at this month's CES. The Toughbook might be difficult to lug around for hours on end, but as the name implies it's designed for harsh environments. With a 13.1-inch touchscreen, it weighs 3.58 kilograms with one battery and 3.7 kilograms with two. For all these estimates, battery life will depend partly on the applications you're running. Watching movies and playing video games generally draws more juice than surfing the web or using a word processor. The display draws the most power, and the brighter the screen the less battery life you'll have. Ongoing improvements to storage, memory and CPUs are all helping to lengthen battery life, however. Laptops that get more than 15 hours on a charge usually have solid-state drives, which are more power-efficient than spinning hard disks. The above laptops also use Intel's latest Core processors based on the Broadwell microarchitecture, which is more power-efficient than its predecessors. Intel says Broadwell alone can extend battery life by an hour when watching HD movies or browsing the Web. Panasonic's claim of 18 hours is for a power-saving mode, with the wireless off and screen brightness reduced. That's probably not a typical use case for most people. And while Dell claims up to 15 hours for the XPS 13, Intel's measured only 11 hours for the same laptop. Dell hasn't provided benchmarks to prove its claims, but says it's confident in its dense battery and unique chemical formula. Battery technology itself hasn't improved much lately, but laptops are getting smarter, more sophisticated circuitry to help them run longer, said Nathan Brookwood, principal analyst at Insight 64. Intel used to focus more on horsepower than energy efficiency, but that's switched in recent years, he noted. Displays are also advancing, with laptop makers using tricks to improve perceived quality of images by modulating the backlight. Intel and AMD are both reducing the size of processors while packing in more cores, controllers and other features. That reduces the number of components on a motherboard, reducing power use further. The Broadwell chips are manufactured on Intel's latest 14-nanometer process, which means smaller transistors. A Broadwell chip is 37 percent smaller than a comparable chip based on the Haswell microarchitecture. AMD claims its PC chips will be 25 times more energy efficient over the next few years, which could mean 50 hours battery life in idle mode. But for now, 15 hours is the exception rather than the rule. It's pretty impressive when you compare it to just a few years ago, and for now it's probably enough. "That's unless you want to walk around with a 10-pound battery, which no one really wants to do," Brookwood said.